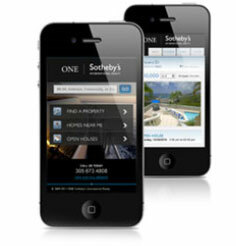 ONE Sotheby's International Realty has been commited to leading the charge into the fastest growing platform to market your home. 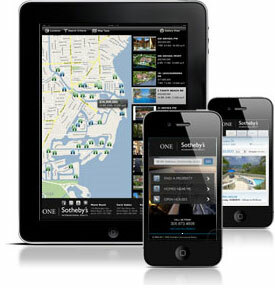 Our app remains the only local iPad app in South Florida. We invite you to try it for yourself and see huge advantage this gives our clients and associates. Your home will be available on more devices. Period. In addition to our iPad app, our website is optimized to work on all tablets. If you are visiting our site on a smart phone youe will see a site specificly made for your device. Our technology guarantees that not matter what a potential buyer is using they will be able to receive the same experience that they would get sitting at their laptop. With 50% of all searches being done on a mobile device, handing out MLS sheets seems absolutely archaic. 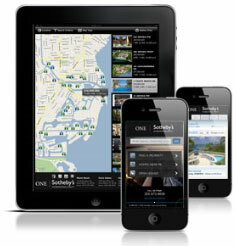 ONE Sotheby's International Realty has the only iPad viewing application in South Florida. Don't have an iPad? no problem, our associates will be happy to equip you with one for your touring notes while looking at property. You will love the view! We are proud to employ QR or Quick Response Codes on many of our advertising vehicles. 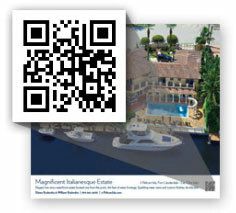 QR codes will direct interested parties to a specific mobile friendly website to gather more information about the property being promoted allowing our ads to generate realtime response for our associates and clients. Ever visit a neighborhood and wonder "What kind of homes are for sale here?". 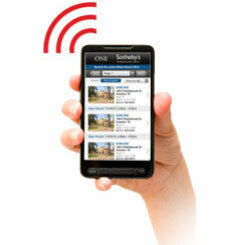 With your our mobile apps all it takes is the click of a button to answer that exact question. It's really that easy. This tool allows our clients to explore different neighborhoods while still staying in touch with available homes for sale at all times. Exposure of your home to all corners of the globe and to all web-capable devices through a precisely orchestrated digital marketing effort that includes online advertising with the most respected media partners and search engines from around the globe. This is evolving technology whose impact will continue on how homes are sold. We have especially seen its influence grow in global real estate markets.